The « Cake Corsets » Collection that Maya Hansen created in 2009 was partly based on British cupcakes. To read about other cupcakes-inspired collections, search for the « Cupcakes » post that I have published on October 30, 2012. 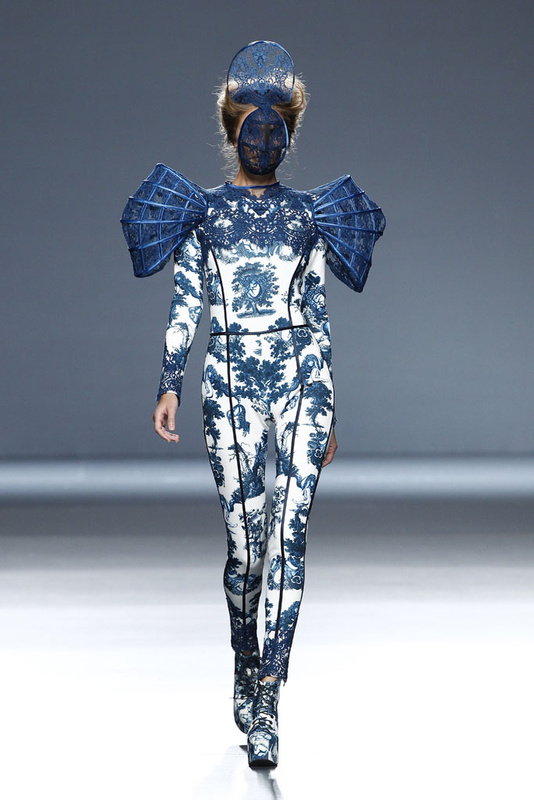 The Maya Hansen Spring/Summer 2014 Show, which paid homage to the origins of life on Earth, was an ode to the supercontinent Pangaea. 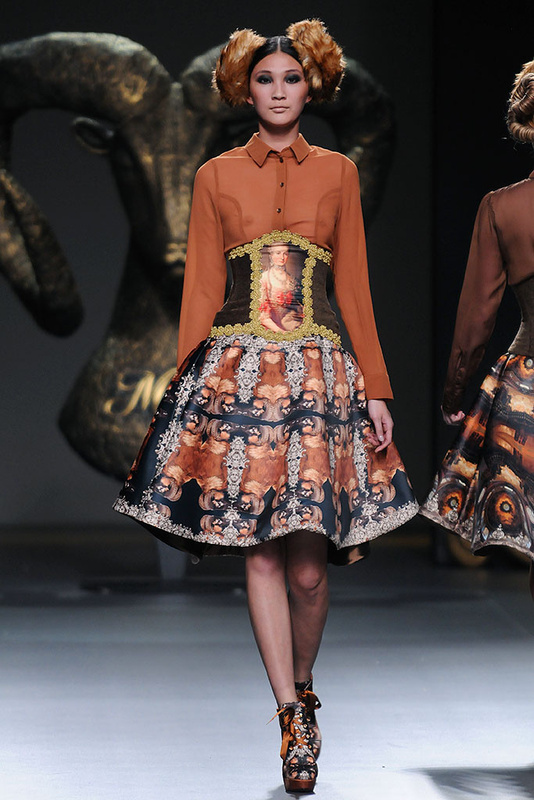 One corset paid homage to Metallica’s « … And Justice for All » album cover in the Maya Hansen Autumn/Winter 2010-2011 Collection, titled « Heavy Metal Couture : Music Icons on Corsets ». Other Metallica-inspired items : Converse (« All*Star » sneakers, dedicated to Metallica, for Autumn/Winter 2009-2010), Maarten van der Horst Autumn/Winter 2013-2014 (this collection, presented as part of Fashion East, features T-shirts with motifs which are influenced by heavy metal bands such as Metallica). Shows with Metallica on the soundtrack : Basso & Brooke Autumn/Winter 2009-2010 (a string quartet played Metallica’s songs), Givenchy by Riccardo Tisci Spring/Summer 2009 Menswear (this show started with Metallica’s « Nothing Else Matters », performed by the San Francisco Symphony Orchestra), Limi Feu Autumn/Winter 2010-2011 (Metallica featuring Marianne Faithfull), Maria Chen-Pascual Autumn/Winter 2002-2003.